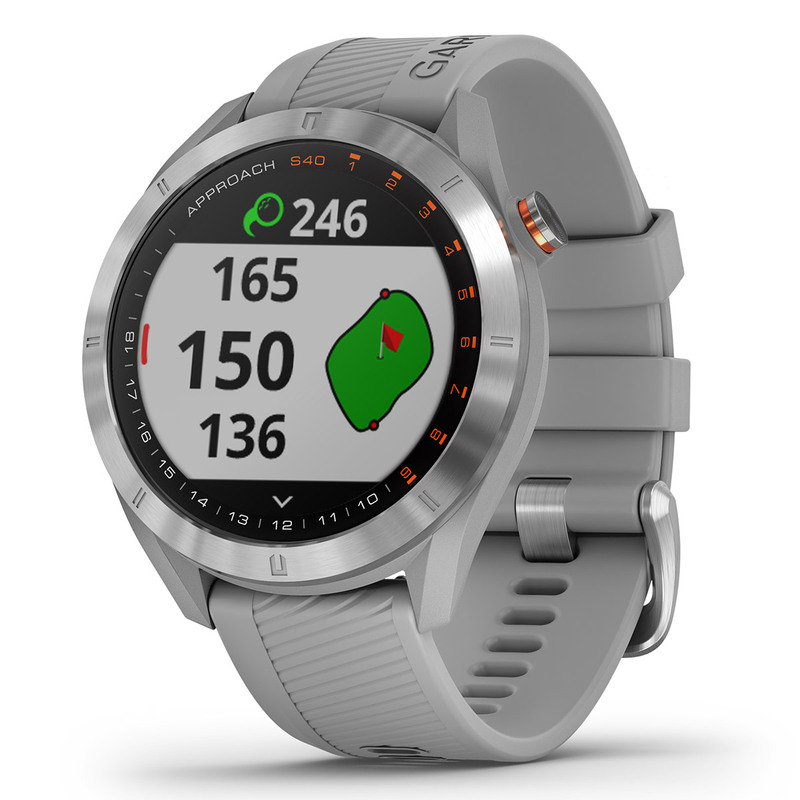 The Approach® S40 GPS golf smartwatch with its stylish metal accents looks the part on and off the course. 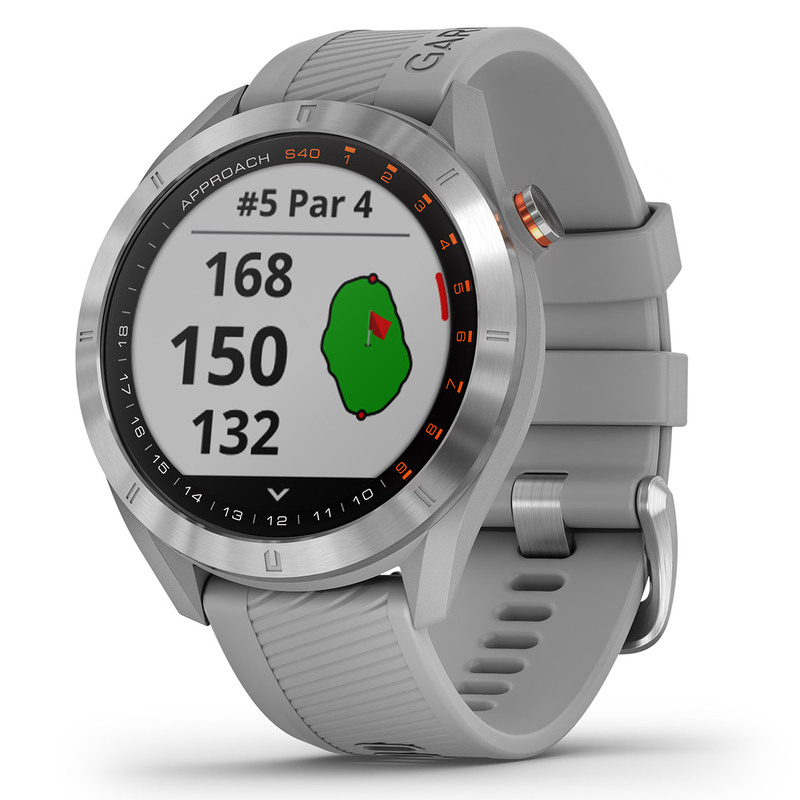 It provides all the key distances on the course and automatically records the distance of each detected shot, so you get to know the course inside out. 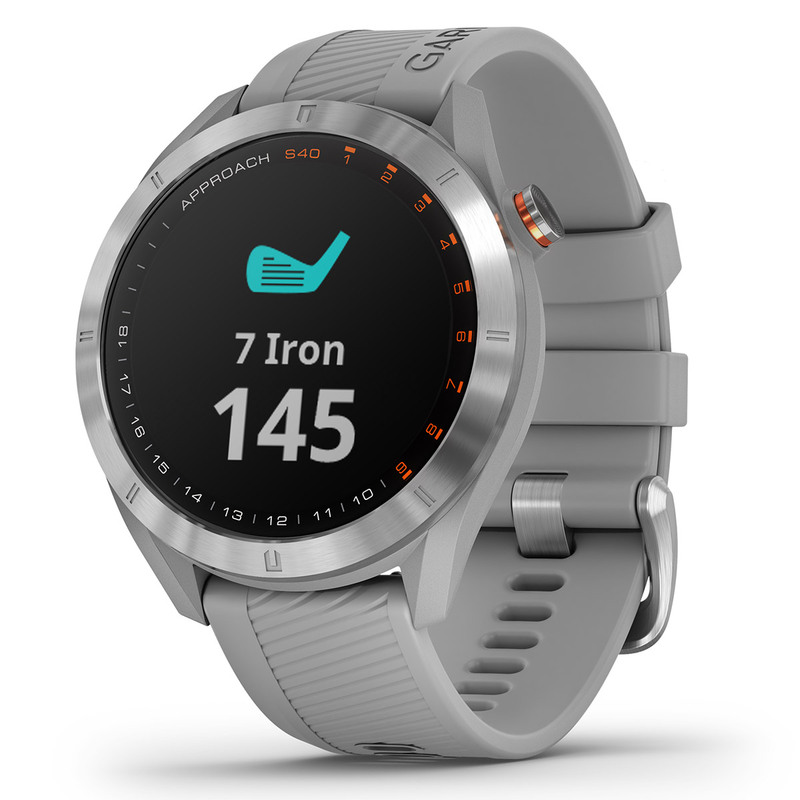 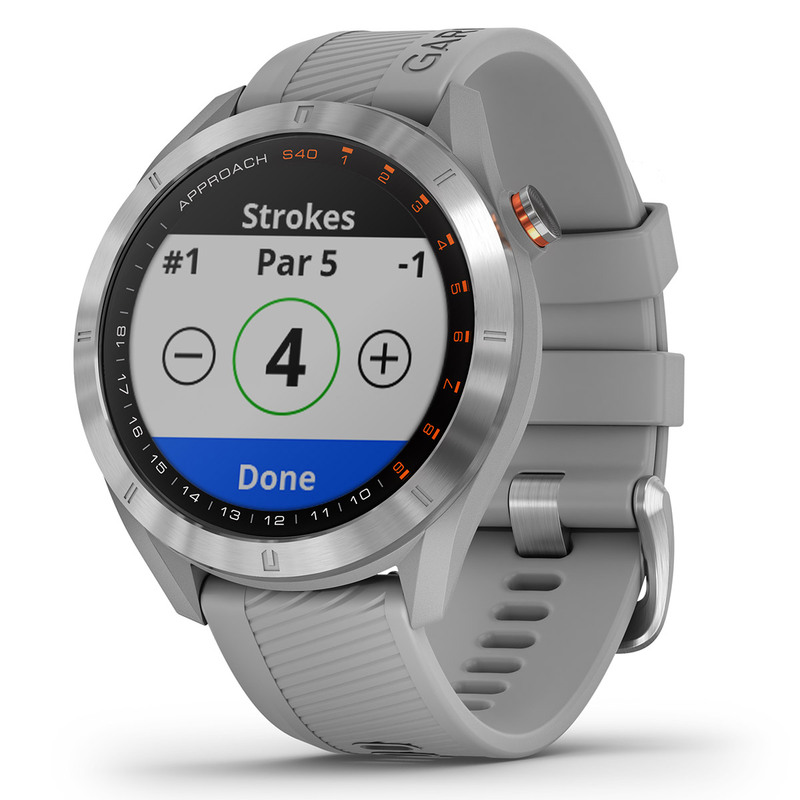 With the additional smartwatch features, you can wear it all day, and it can track your activities away from the course. It is also compatible with Gamin Golf app. Through this, you can compete against your friends and family on weekly leader boards and even create your own tournaments. 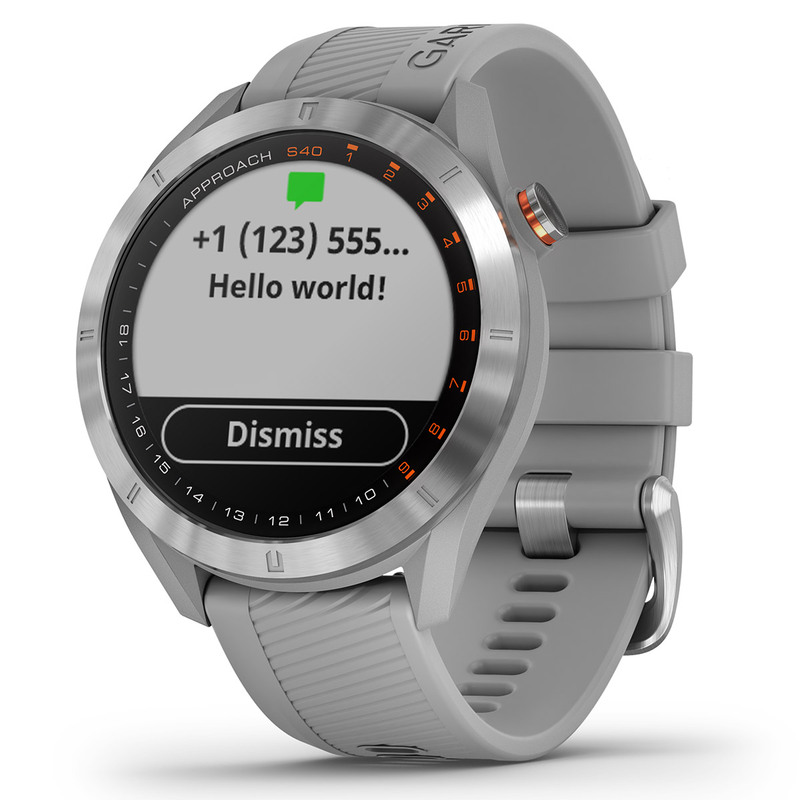 The battery is rechargeable and can last up to 15 hours in golfing mode, and up to 10 days in watch mode.